BONES may be off the air for the next few months (darn summer hiatus), but Los Angeles-based fans of the Fox drama can get their fix in a different way comes June — and donate to a good cause at the same time. 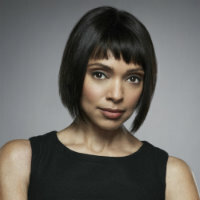 Tamara Taylor (Cam) has just signed on to participate in IBG Inc’s staged reading of “My Letter to Fear,” a collection of essays to be performed monologue-style. She joins Mekenna Melvin (CHUCK), Lesley Fera (PRETTY LITTLE LIARS), Sufe Bradshaw (VEEP), Jen Lilley (GENERAL HOSPITAL), Elizabeth De Razzo (EASTBOUND & DOWN), Charlene Tilton (DALLAS), Jennifer Aspen (GCB), and Constance Marie (SWITCHED AT BIRTH). Interested in seeing the event for yourself? The reading will take place on Sunday, June 24th at the Beverly Wilshire Hotel. Tickets go on sale this week at IBG Inc’s website, and the proceeds from this event will benefit the East L.A. Women’s Center. Will you be coming out to see the staged reading of “My Letter to Fear”?